Jackson Pollock is best known for revolutionizing the world of modern art with his unique abstract techniques, specifically the drip painting technique. Born in January 28, 1912, Paul Jackson Pollock, more popularly known as Jackson Pollock was a major influence in the abstract expressionist movement. He studied under Thomas Hart Benton, an esteemed painter and muralist, before exploring abstraction expressionism. Pollock died in an alcohol-related car accident in December 1956. He was 44. In 1936, Pollock attended a workshop by Mexican muralist David Alfaro Siqueiros in New York City and this is where he was introduced to the use of liquid paint. He used paint pouring as a technique and he began painting with his canvas laid down on the floor and the “drip” technique was born. 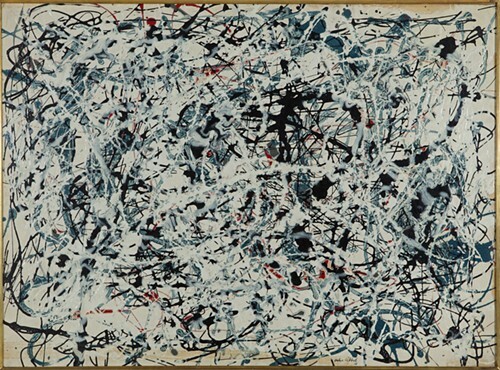 The “drip” technique is a combination of Pollock’s body movements, flow of paint, gravity, and paint absorption. It was a technique which merges the controllable and uncontrollable factors in painting. 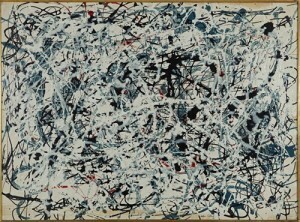 Pollock moves around his canvas while dripping, pouring, splattering paint onto it until he’s satisfied with the result. 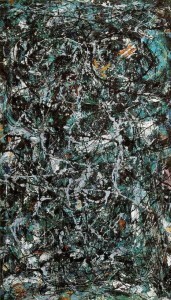 Pollock’s paintings became famous during the “drip” period, between 1947-1950. The Life magazine published an article on Pollock in 1949 which asked, “Is he the greatest living painter in the United States?” that made him distinguished in the art world. His exhibition in the sames year at the Betty Parsons Gallery sold out and he instantly became the best paid avant-garde painter in the US. 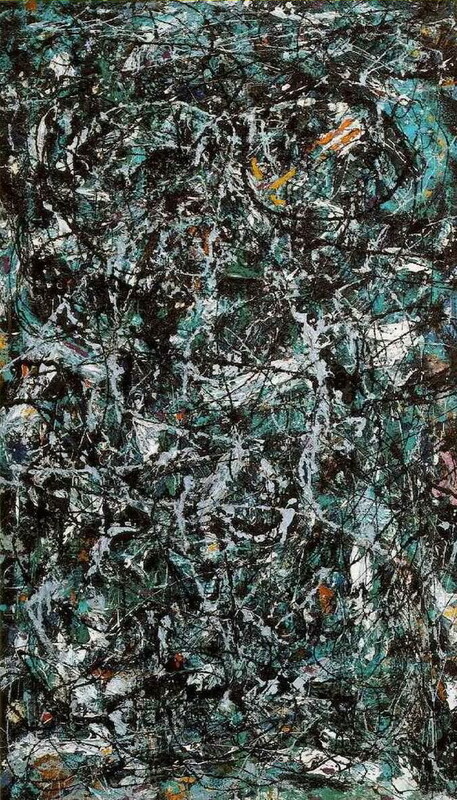 Full Fathom Five is one of Pollock’s earliest drip paintings. The top layers consist of poured skeins of house paint, creating a lace-like image. 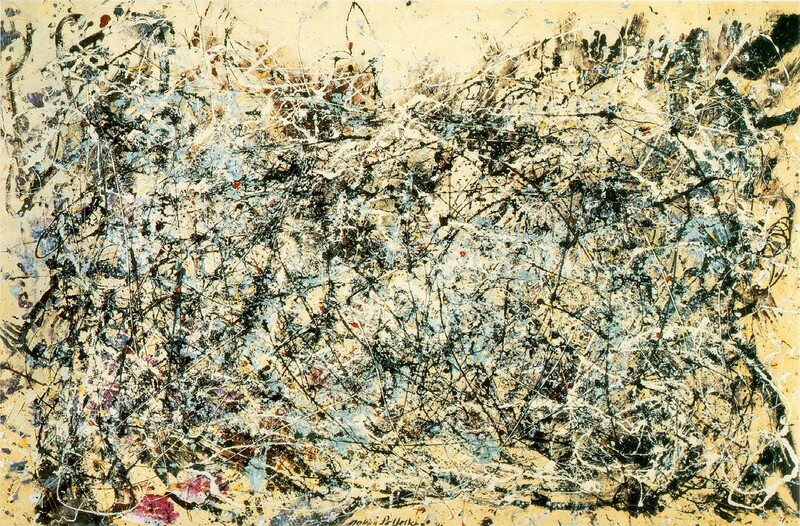 Pollock used a brush and palette knife to build up the underlayer of the painting. Number 1 is the masterpiece of the drip technique. This is one among Pollock’s largest works, pulsing with energy, with an intricate web of hues that suggests speed and force. 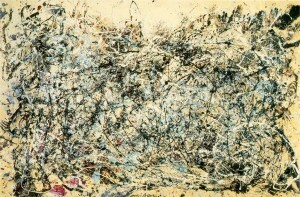 Composition (White, Black, Blue and Red on White), 1948 is a great example of Pollock’s “drip” technique or flung paint. When Pollock was creating this masterpiece, he placed his canvas on the floor and painted in a rhythmic, undulating style. This piece represents pure abstraction, a painting with no focal point and thus making all areas of the painting important. 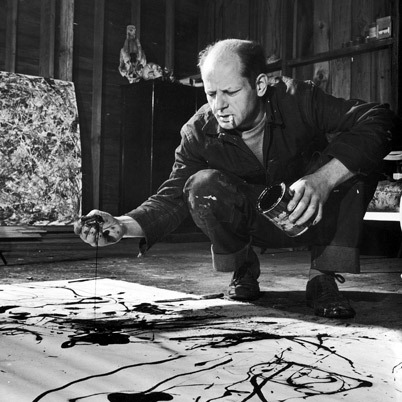 Image sources: www.biography.com and www.jackson-pollock.org. Drip technique is one of the most difficult technique to master. Pollock is suited for the title ‘father of Drip Technique’.